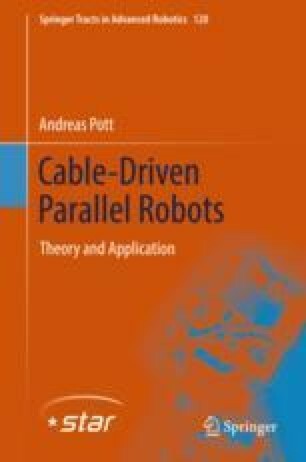 In this chapter, we deal with the extension of the standard kinematic model by taking realistic assumptions for the cables into account. The modeling of nontrivial winch kinematics with guiding pulleys is addressed in Sect. 7.2. The consideration of cable mass leads to sagging (Sect. 7.3) and the finite stiffness of the cables causes elastic effects in the cables (Sect. 7.4).